During a therapy session in a psychologist’s office, a good psychologist will stay relatively quiet, speaking only briefly, asking open-ended questions, and gently prompting the patient to verbalize his or her thoughts and feelings. Today, we get the psychologist to do most of the talking! 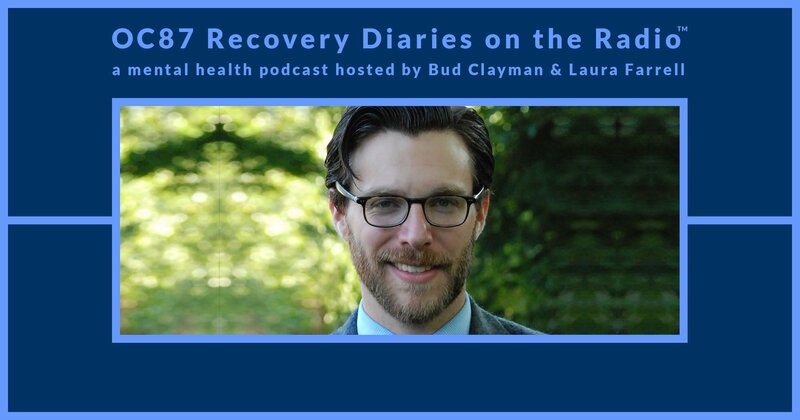 On this week’s episode of OC87 Recovery Diaries on the Radio, Laura Farrell and Bud Clayman talk with psychologist Maury Joseph, PsyD. Maury is different from most psychologists in that he “gets out of the way of his patients.” He allows his patients to help themselves instead of pushing his way into the driver’s seat, advancing his own theories with the aim of directing the patient experience. While still relatively young, Maury’s therapeutic approach has come a long way, and he has benefitted from fellow clinicians and patients who have helped him learn how to be a better therapist and helper. Maury originally became a therapist with the idea that he would change the world, and his patients, with his marvelous psychological insights. He believed that answers lay in time-tested theories, passed down by experts in the field, and that, if he amassed enough knowledge and studied enough theory, he would master the art of therapy—after all, weren’t his patients coming to him because he was now the all-knowing expert? But Maury soon came to realize that this narcissistic notion was going to help nobody—not even him. Therapy is a learning process, for the patient, for his or her family members, and certainly for the therapist. Maury candidly and thoughtfully reflects on what he has learned, and what he still has yet to learn, as a psychologist in an ever-changing, endlessly challenging field, one where the stakes are high for patient and provider. Listen in as we discover one psychologist’s unique approach to therapy. Podcast interview with PsychCentral.com podcast host, Gabe Howard, who suffers from bipolar disorder, but is in recovery.